Unlike most of his artist-contemporaries, who were predominantly middle-class southerners, Bayes was a northerner from artisan stock. His father William Bayes (1799–1851) was a shoe-maker who moved from Wakefield to the village of Lumbutts, Yorkshire, near Todmorden, in pursuit of trade. His mother was from a slightly higher station in life; Hannah Uttley (1788–1856) is described as a local farmer’s daughter, although little else is known of her. Alfred was born in 1831, one of four sons and one of only two survivors. His childhood was an austere one. However, this formative period was far from stagnant; on the contrary, Bayes was born into a family sustained by the notion of ‘improvement’. His father William was a self-made man and a Methodist, and Bayes was influenced by his parents’ focus on the correspondence between education, practical achievement and spiritual development. 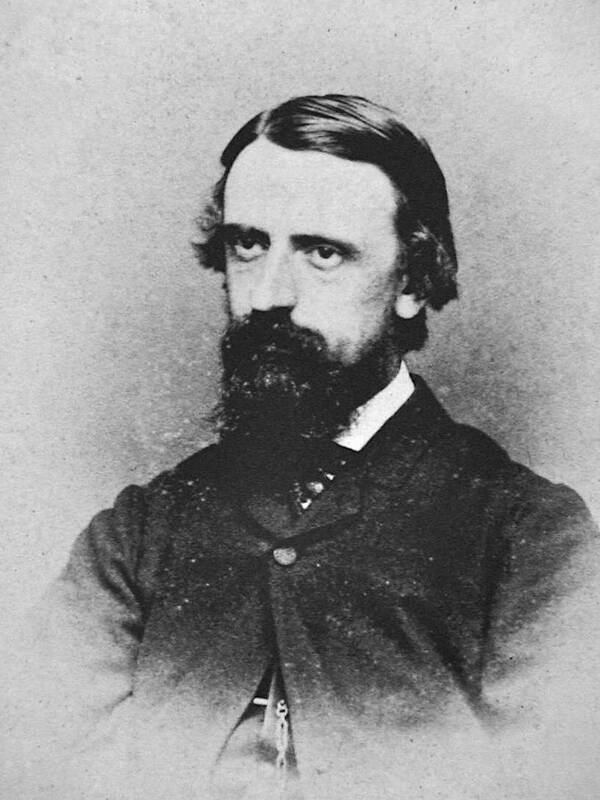 Bayes’s schooling was only elementary, and he supported his learning by reading Charles Knight’s series of improving texts for the working-classes, notably The Penny Magazine and The Penny Encyclopaedia. He had the opportunity to widen his knowledge and apply at least part of it when, around 1845, his father set up a museum, library, and school-room. Developed under the auspices of the Mutual Improvement Society, this establishment was designed to educate the children of local workers and Bayes contributed, along with his brother, father and mother, to the running of the school, for which they exacted a small fee. With little formal training, he was sufficiently well-informed to contribute to what was essentially the family business; never more than financially straitened, his work as a semi-professional teacher allowed him to make a living and a way of life. However, the emphasis on self-improvement also had the effect of revealing the shortcomings of his situation. Ambitious for change and self-realisation, Bayes recognised that his vocation lay in the domain of art. As a child he had produced unusually accomplished drawings, and this interest had been carried forward into adulthood. But the immediate prospects were unpromising as he strove to gain access to the means of becoming an artist. His anguish is pithily recorded in an unpublished fragment of autobiography in which he notes the obstacles to his ‘inclination’, there being ‘no art school near’ and ‘no opportunities’ for the study of either landscape or ‘figure drawing’. His remedy, predictably, was to fall back on the well-worn process of self-education. The only practical source of information lay in art books and magazines. The most immediate influence, once again, was The Penny Magazine. This periodical contained articles on the history of art, as well as practical articles on composition and style, and Bayes particularly benefited from a series of engravings after Raphael’s Cartoons (1833). These images provided a vivid representation in which he studied the effects of composition and ‘the great groups of figures’ though he was never committed to the process of ‘drawing from the Antique’ (autobiography). He was also interested in contemporary developments. As a mid-Victorian he could barely fail to be aware of the Pre-Raphaelite revolution, and he may have read of their impact in The Art Journal and the local press. He refers to Holman Hunt in his later writings on art, and it is possible that he saw Pre-Raphaelite paintings on exhibition at the Royal Academy when he visited London in 1851. 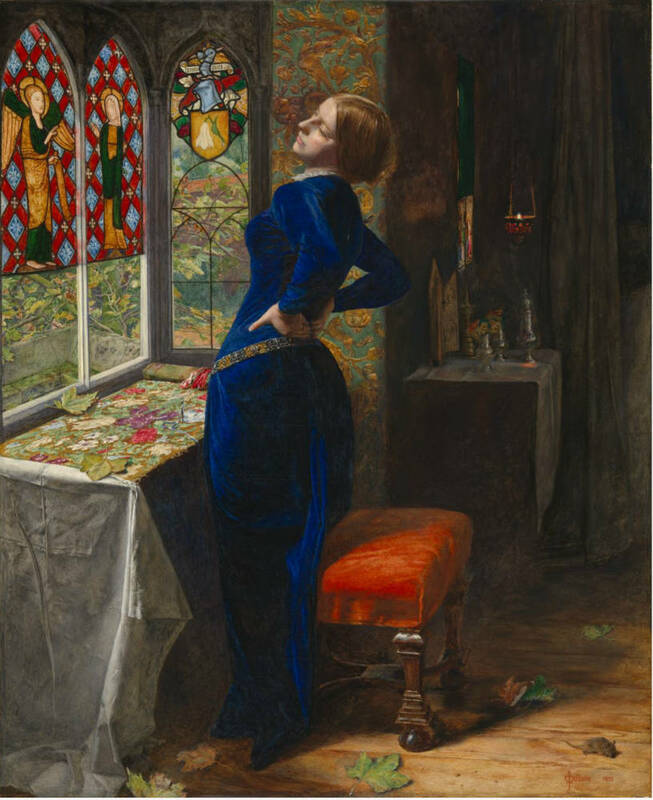 Though we cannot be sure of his viewing habits, he could have seen Holman Hunt’s Valentine Rescuing Silvia from Protenus (Birmingham city Art Gallery); Millais’s Mariana (Tate Britain, London); and Charles Collins’s Convent Thoughts (Ashmolean Museum, Oxford). Pre-Raphaelitism became an influence on his mature illustrative style, but at this stage it offered a model of three important elements: sharp-edged realism, or ‘copying from nature’; an intense sensitivity to literature; and an emphasis on romantic escapism. All of these were integrated into his programme of self-education and helped to sustain the development of his art in the years before 1863. Indeed, each of these ingredients was brought into play in early endeavours to make a living in the production of images. Copying from nature was a key ingredient in his work as a portrait painter, a business he set up in 1857. The examples provided by the Pre-Raphaelites enabled him to produce pictures which were, at the very least, good likenesses. The notion of recording ‘fact’ was also, necessarily, an important part of his parallel work as a (self-trained) photographer. But Bayes’s sensibility was essentially a literary and imaginative one. Recording outward appearances remained an important part of his work, but more interesting, as far as he was concerned, was the representation of fantastical literature. As he remarks in his autobiography, when he should have been ‘copying nature’ he was more intrigued by the workings of the imagination; borne down by the discipline of realism, his mind ran ‘more wildly into the regions of my unregulated fancy … Oh how did I illustrate the poets … such nymphs and gods by running streams, such knights, prophets and lovers’. 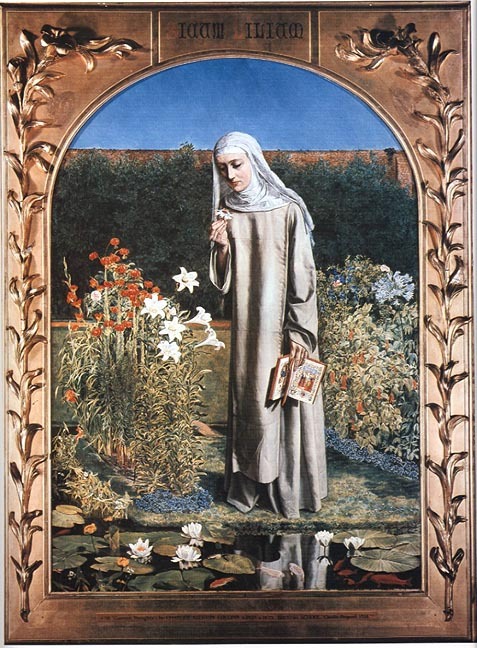 As in the art of the Pre-Raphaelites, his sensibility was poised between the representation of nature and human nature, the details of the physical and the workings of the psychological. Yet in these early years Bayes had a keen awareness of the impossibility of creating visionary images without the formal training required to make them into tangible forms: self-training had carried him an impressive distance, but his skill was limited and his status only that of an unlettered provincial, with little reputation and minimal earning capacity. With these problems in mind he abandoned his home and moved to London. Financed by a legacy and the sale of the family house, he ambitiously set out to establish himself in the capital. This took place in the early sixties and in 1863 he enrolled at Heatherley’s (formerly Leigh’s) Art School, so finally overcoming the problem of gaining a formal training. This was an ideal place in which an artist of Bayes’s cast of mind could benefit. Heatherley’s teaching was based on the system of the Parisian atelier: self-dependence was encouraged, and students were directed to learn through independent activity, rather than following the prescriptive directions of a master. Bayes notably prospered through the process of self-criticism and mutual support. The school actively encouraged the process of self-discovery through the setting up of groups of fraternities; used to working on his own with no support, he quickly became a member of such a group, and his training was characterised by the sharing of ideas within a circle of fellow students. His range of interests and the group of friends with whom he shared them are vividly recorded in a home-made periodical. He called it The Studio. In part a pastiche of The Art Journal, while also acting as a practical means to learn through reflection, The Studio reveals the range of Bayes’s contacts and influences. Along with vigorous pen and ink sketches, he provides a series of critiques of colleagues’ works and paintings by the Pre-Raphaelities. 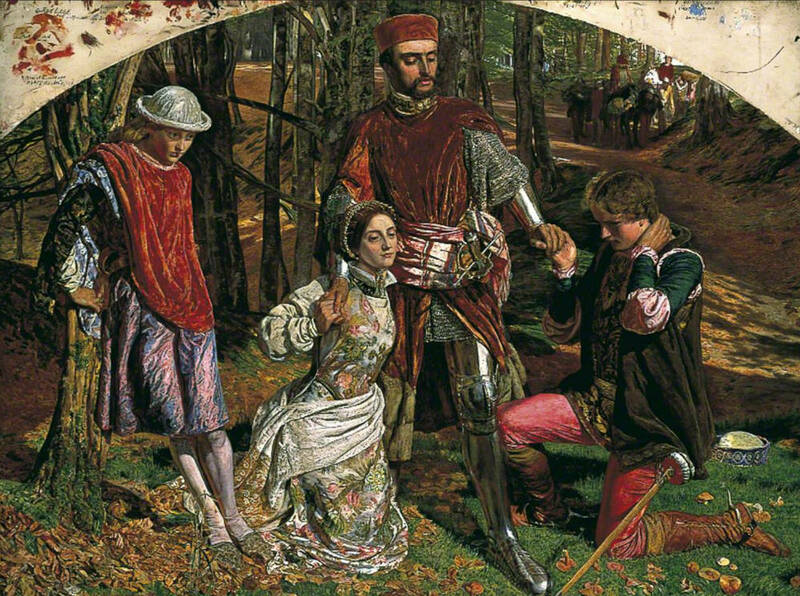 Some of his criticism focuses on copying from nature, but here, as in his autobiography, he is most taken by a painting’s intellectual content, remarking of Holman Hunt’s The Light of the World (1856) that it conveys a ‘glorious spiritual beauty’, there ‘being far more [in the work] than meets the eye’ (undated entry, The Studio). Most tellingly of all, he comments on a variety of contemporary illustrators and their styles. He reflects on his own illustrations for Coleridge’s ‘Christabel’, and provides a critique of Bainbridge’s designs for The Pilgrim’s Progress. He also provides a commentary on Keene’s picturing of Reade’s ‘A Good Fight’ in Once a Week (1859), and was familiar with the engravings appearing in the other prime journals of the time, Good Words and The Cornhill Magazine. Such comments point to a talent still in the process of formation, but equally telling is the variety of contacts. He was, of course, in an anomalous position: though a student at art college, he supported himself by illustrating for the Dalziels while also becoming a member of the St John’s Wood Clique. A semi-amateur engaged in the seemingly never-ending process of self-improvement, he occupied the same circle as Yeames and Wynfield, and throughout this period exhibited paintings at the Royal Academy. Indeed, by the end of the sixties he had established himself as a man of property and responsibility, a development exemplified by his marriage in 1865 to Emily Fielden (1837–1924) and his purchase of a series of comfortable homes. His subsequent development and career is one of relative success. Following his work for the Dalziels he went on to establish himself as a painter of portraits, watercolours, large romantic pieces in a neo-classical idiom and topographical etchings Though never an associate or full member of the Royal Academy, he was elected to the Royal Society of Painters and Etchers, along with membership of the RWS (Royal Society of Painters in Watercolour). Such accolades sustained him to the end of his life and facilitated his sons’ entrée into the art world, giving them advantages he never enjoyed and for which he had laboured so hard. Bayes’s life was unusual, and so, we might say, was the manner of his death. On 26th June 1909 he fell heavily as he avoided a street cab; he died shortly afterwards and was buried in Highgate Cemetery. His grave has recently been rediscovered.